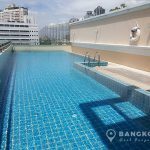 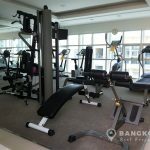 A modern, spacious 1 bedroom condo is available to rent at The Address Sukhumvit 42 conveniently located on Sukhumvit Soi 42 just 4 minutes walk (370 metres) from Ekkamai BTS. 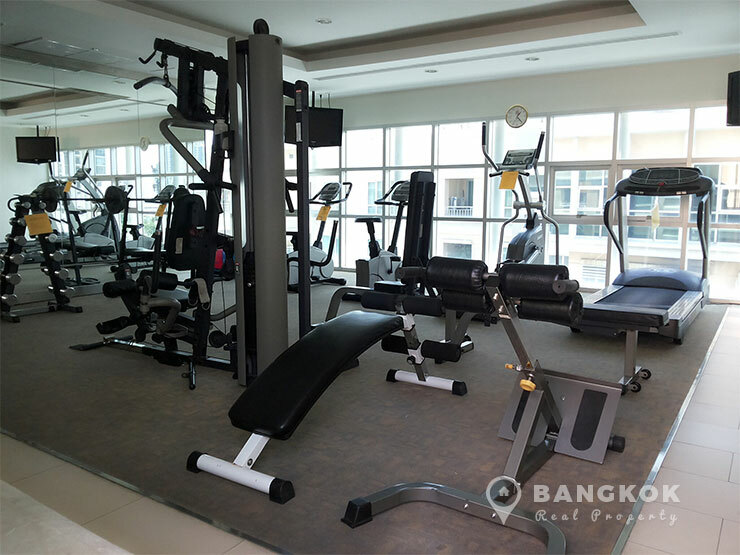 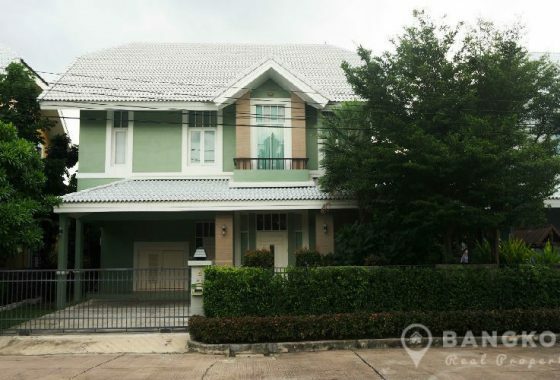 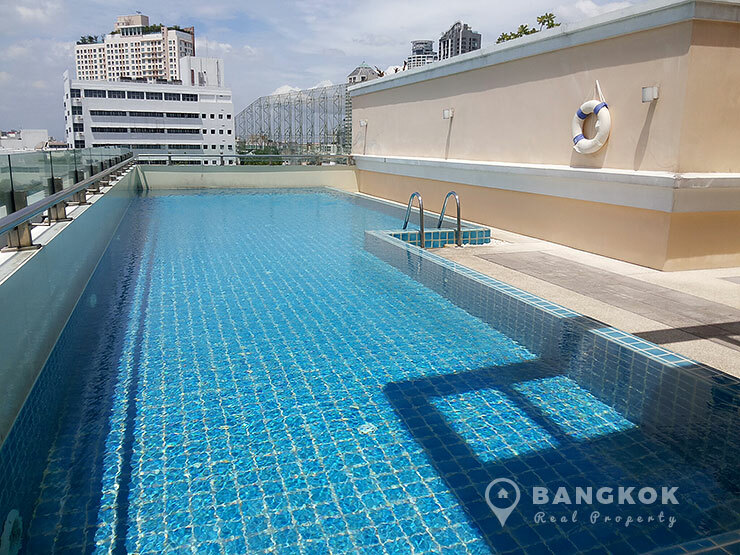 This low rise Bangkok condo built in 2009 by AP Thailand, offers residents great convenience with easy access to Gateway Mall, Bangkok Mediplex, EmQuartier, Major Cineplex, Samitivej Sukhumvit Hospital and for any golfers the 42 T-Off Golf Driving Range. 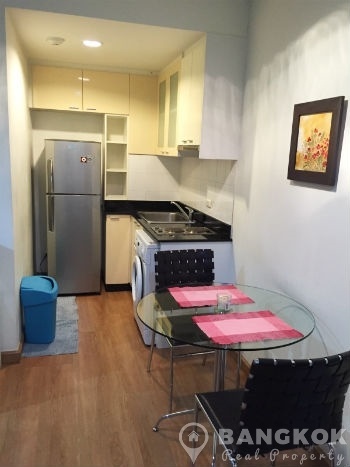 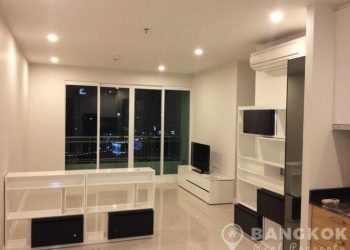 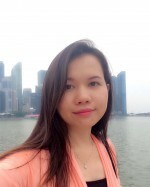 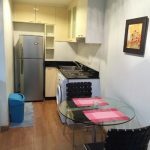 Situated on a mid floor of The Address Sukhumvit 42 this unit has 1 double bedroom, 1 modern bathroom condo and has 46 sq.m of living space with a nice balcony. 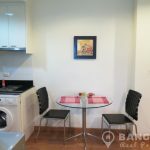 The unit has wooden floors throughout and the open plan livingroom – kitchen is nicely and fully furnished with LCD TV, access to the balcony, built in kitchen units with good storage, built in electric hob (stove), extractor fan (hood), microwave, fridge-freezer and washing machine. 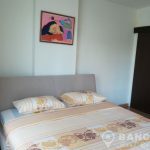 The bedroom has large picture windows letting in lots of light and good storage and the bathroom has a bathtub with shower unit.